Sure, comparisons between Twiggy and La Moss are definitely nothing new. The hysteria surrounding Kate when she entered the modeling world in the 1990s was much akin to the wave that hit Twiggy when she first burst onto the scene nearly thirty years earlier. Kate’s heroin chic charm was comparable to the freshness that Twiggy’s androgynous look offered to the fashion world – both were looks so completely opposite of the type of woman that reigned supreme during the times. Twiggy came in following the long-standing tradition of having womanly, more mature looking women in clothes that emphasized their curves; Kate entered the picture when 6-foot-tall glamazon models like Cindy Crawford, Linda Evangelista, and Claudia Schiffer were the norm on the pages of magazines. I love the photos of Kate on her 34th birthday – I’m not sure what the theme is exactly, but she looks stunning. 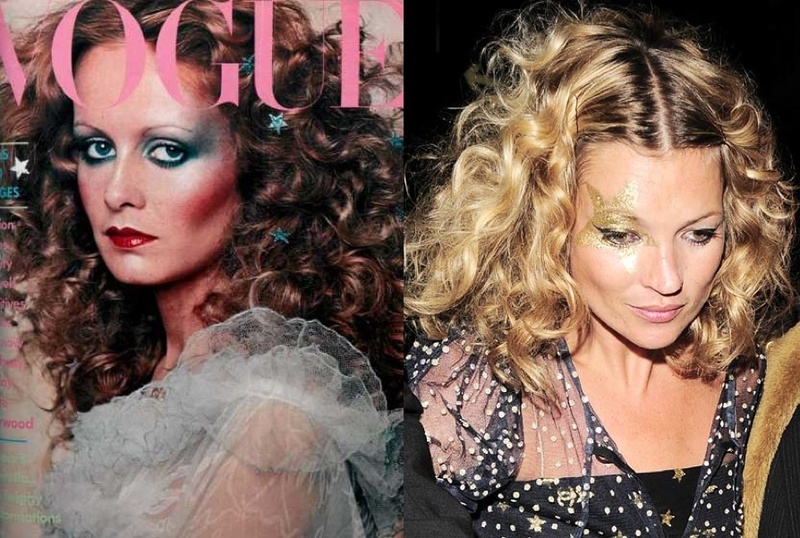 With that mass of curls and a gold star painted on her face, she looks a lot like Twiggy on the cover of the December 1974 issue of British Vogue, with an equally wild amount of curls with stars placed throughout her hair. Twiggy is a great person. I recently read an article about her on Woman & Home magazine. I love the 40s, 50s and 60s and retro and vintage. I live in Sicily but grew up in the Bronx in the 60s and 70s so I love American music of that period. Love your blog! 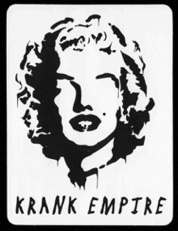 I'm follwing you from Trapani, Sicily.